Most of us want to avoid a visit to the doctor. But for oil workers, getting an annual clean bill of health from their GP is just part of the job - it’s their personal MOT. 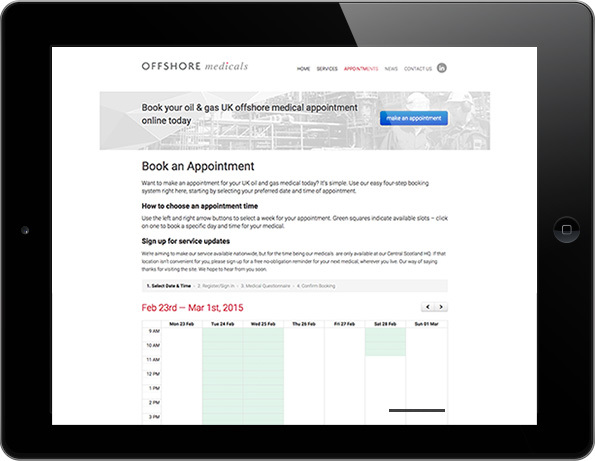 Working with industry leader, Offshore Medicals, we devised, designed and executed a dedicated site that makes it plain sailing. For North Sea workers and GPs staging on top of their annual health checks and records is essential – but all the paperwork, certification and appointments has the potential to lead to a right old muddle. They needed a simple system that could help them take care of it with the minimum of fuss. 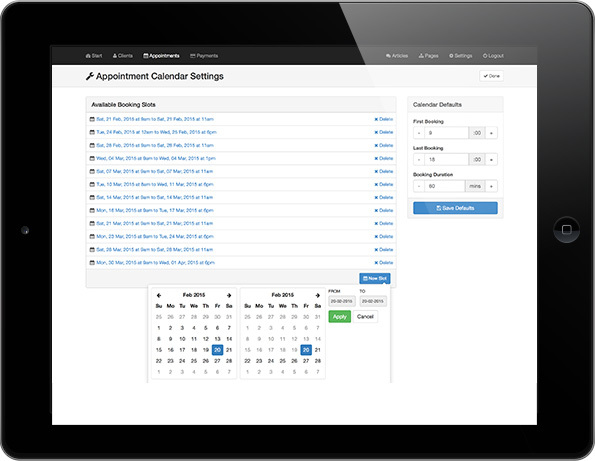 After breaking down the issue from the perspective of both workers and GPs, we struck upon the perfect solution: a simple online booking system, automated reminder requests, record storage and online certification. It proved to be the perfect remedy, a tool relied on across the offshore industry.